NANOCELLULOSE: Technology, Applications and Markets - Fastmarkets RISI - Objective Insight. Better Decisions. An analysis of the nanocellulose industry and the road ahead with a forecast to 2025. To inquire about pricing information, or to order, please contact us. The three major forms of nanocellulose are Cellulose Nano Fibrils (CNF), Cellulose Nano Crystals (CNC) and Bacterial nanocellulose (BNC). 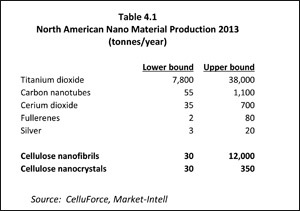 2013 production levels rank nanocellulose below titanium dioxide as a new nanomaterial, yet it has the potential to represent the largest volume of all nanomaterials; the U.S. Forest Service estimates that nanocellulose could add $600 billion to the U.S. economy by 2020. 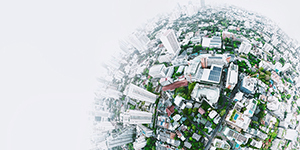 NANOCELLULOSE: Technology, Applications, and Markets reviews the development of nanocellulose technology and markets from the 1950s to today and provides a view of the road ahead, opportunities and challenges, with a forecast for 2020 and 2025. 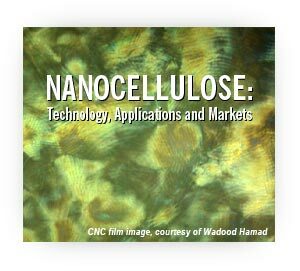 The study helps you understand the technology behind the developing industry, with a clear explanation of nanocellulose, its forms, characteristics, preparation, and applications. It also outlines the extraordinary characteristics and business potential of the different materials. The study reviews relevant patents and patent applications. It also profiles more than 60 corporations, associations, and universities around the world that are producing and conducting research related to nanocellulose. This study is the result of extensive primary and secondary research, supported with technical expertise from major universities. The primary research included more than twenty interviews with nanocellulose researchers and producers across Japan, Scandinavia and North America during 2013 and 2014. Research from 2009 to 2013, also included discussions with more than forty corporations across various industries to explore their needs in product performance improvement, cost reduction and their potential use of nanocellulose. Other extensive research on cellulose included a review of more than a hundred technical journals, patent applications, conference presentations, magazine articles, and websites. A complete list of these sources is provided in the study.